First it starts with a leaky toilet call at 2 am. Then the basement floods and it happens at the worst time – your wife’s birthday dinner. And to hire a contractor either costs an arm or a leg, or you find someone cheap who pretty much proves the old saying: you get what you pay for. 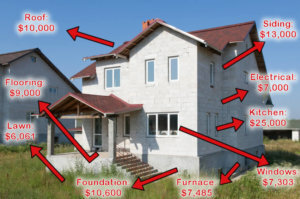 To make matters worse, you find yourself barely profiting from the property because every time you turn around, more money is going out for repairs. So you’ve finally made the decision that you want to spend more time with your family, you want to watch your kid play on her softball team. And you’d like to be able to watch an entire game of your Son’s soccer team. In short, you want your life back. It’s time to sell the house to professionals who have a team of contractors on call 24/7. No need to make any repairs as we will buy the house in strictly AS-IS condition so you can go back to enjoying life and spending more time with your family.